This helmet came from a US Army Green Beret, who deployed to Afghanistan. While down range, they got to work with, and get to know, Dutch soldiers. Camaraderie developed, and the soldier traded helmets with one of the Dutch soldiers, and brought this helmet home with him. The note highlights that special relationship with the Dutch, and what they did with it. 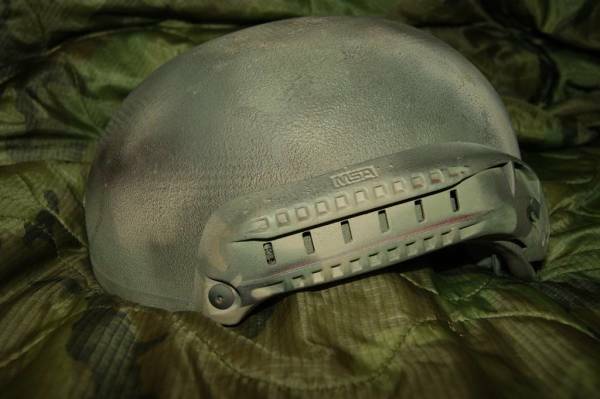 The soldier kept using this helmet post deployment, for training. 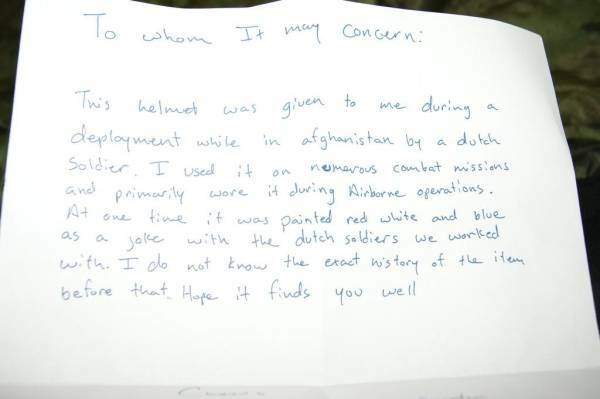 Luckily this helmet was purchaced directly from the Veteran, and without the note, this story would have been lost forever.